Domaine Santé is a unique, all natural sweetener made from the largest crop in California – grapes. Our Bored-O Rouge blends Cabernet Sauvignon, Merlot, and Malbec. This blend lifts all cocktails with rich berry and spice driven flavors. 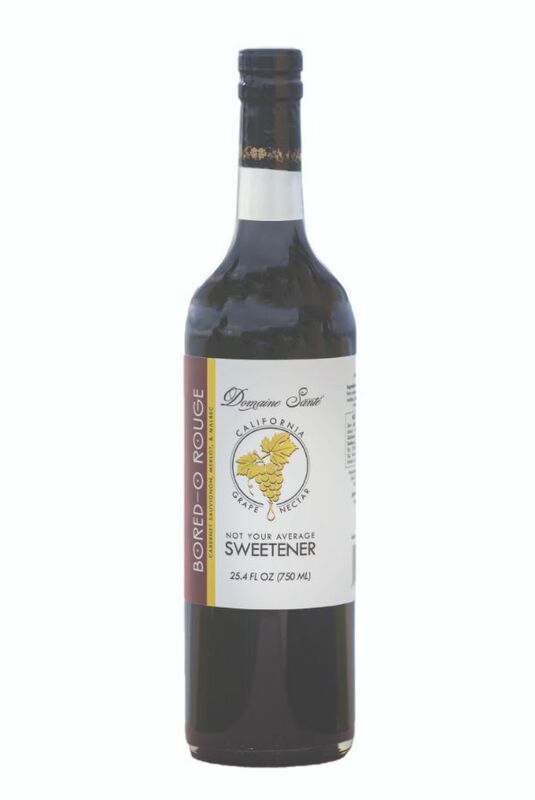 Liquid Sweetener made from 100% California Cabernet Sauvignon, Merlot, and Malbec wine grapes. Production: Grapes are harvested primarily from Lodi and Mendocino; then pressed with the skins on; water is then extracted out through an evaporator at a low temperature to maintain the juice quality of the grapes; blended and bottled by hand in San Diego. Tasting notes: Classic characteristics of red Bordeaux grapes; dark and jammy; berry and spice aromas; the original grape nectar; our most full-flavored, rich blend, great for offering a unique "red" alternative to cocktail sweeteners. Cocktail suggestions: try replacing port wine in fall cocktail recipes, or grenadine in Tiki cocktails to offer a California twist.